“I combine customized financial solutions with sound money management to help my clients prepare for retirement and to stay retired.” For Damien, maintaining the highest level of professionalism and integrity with clients is paramount. He has been helping clients prioritize, organize, and simplify their financial matters since 1989. Damien graduated from the University of California at Davis with a Bachelor of Arts Degree in Economics. 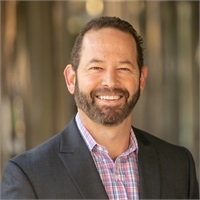 Locally known with experience in investment, retirement, estate and insurance planning, Damien currently serves as Director at Large for the Financial Planning Association of the East Bay.